The Tacoma Dome is one of the largest wood domed structures in the world. It is owned and operated by the City of Tacoma’s Public Assembly Facilities Department. Flexibility is the key to the success of the Tacoma Dome. With numerous seating configurations available – 65% of the seating is moveable – almost any event is possible. 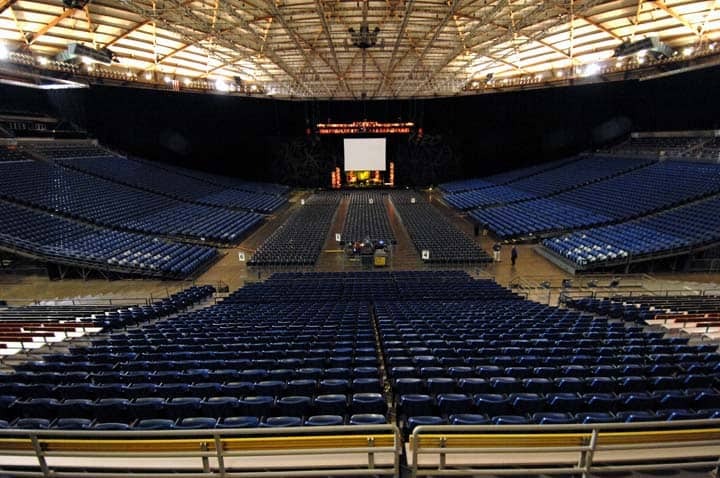 The unique seating configurations mean the Tacoma Dome can accommodate 1,000 to 23,000 patrons, making it the largest indoor venue in the State of Washington. Seating flexibility, combined with a sound reverberation of 2.5 seconds, make the Tacoma Dome the Preferred Concert Venue of the Pacific Northwest.